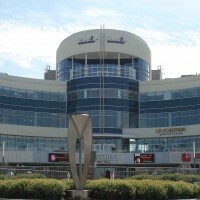 Brossard is a city located in the Quebec region, precisely at the conurbation of Longueuil. The city's population exceeds 80,000. The economy of the city relies on industry, especially that specialized in information and communication technology (ICT). Brossard organizes shows and festivals that welcome thousands of people each year, including the Festin culturel, Festival Classica and also the Fest-Hiver organized in February. You can attend all the artistic and cultural activities organized in Brossard thanks to billets.com.